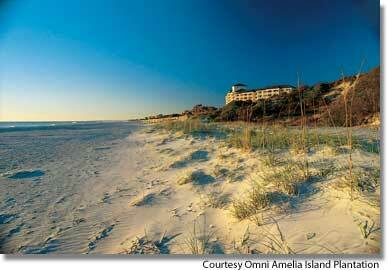 It had been five years or more since I last visited Amelia Island Plantation–or, as it is now known, the Omni Amelia Island Plantation —the 1,350-acre resort on a Manhattan-sized barrier island off Florida’s northwest coast near Jacksonville. Much had happened in the interim: the resort itself had become part of the Omni Hotel collection, and its Racquet Park, former home of the Bausch & Lomb Tennis Championships, was now managed by Cliff Drysdale Tennis. Along with other press, I have been invited down as a guest of the resort to preview the $85 million in changes—dubbed a “Re-Imagination”—in advance of a grand opening on May 9, 2013. From the first time I visited, in the 1980s, I had been a huge fan of the resort and its tennis program. In that era, the Plantation was one of the venues for the extremely popular camps run by All American Sports. When All American failed, the resort wisely kept John Morris as its tennis director, and he and his staff continued to provide stellar tennis services and maintain the resort’s reputation among the best in the nation. But when Morris was replaced, the tennis programs began a slow decline, and that coupled with the aging of the resort meant that this once stellar property no longer merited a place among the nation’s great tennis destinations. Over these next few days, I’m going to get a chance to experience whether the Omni Amelia Island Plantation deserves a place on the avid tennis vacationers’ radar.